British climber Shauna Coxsey has clinched the bouldering world cup title for the second year running. The 24-year-old Cheshire-based athlete topped the rankings at the latest round of the competition in India, confirming her victory in this year’s series. 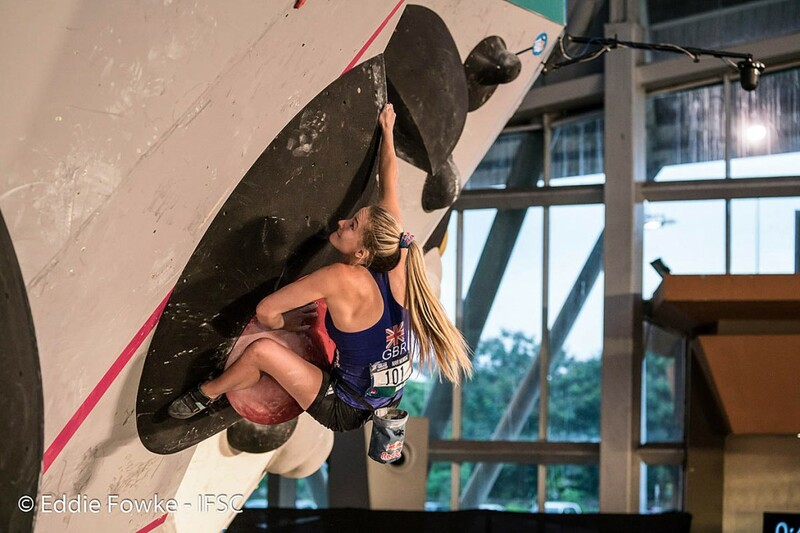 Coxsey needed only to take ninth place at the gathering in Navi Mumbai to win the International Federation of Sport Climbing’s bouldering world cup, but an impressive performance saw her clinch first place ahead of Japan’s Miho Nonaka. Her nearest rival, Slovenian Janja Garnbret was not competing at the Indian round. 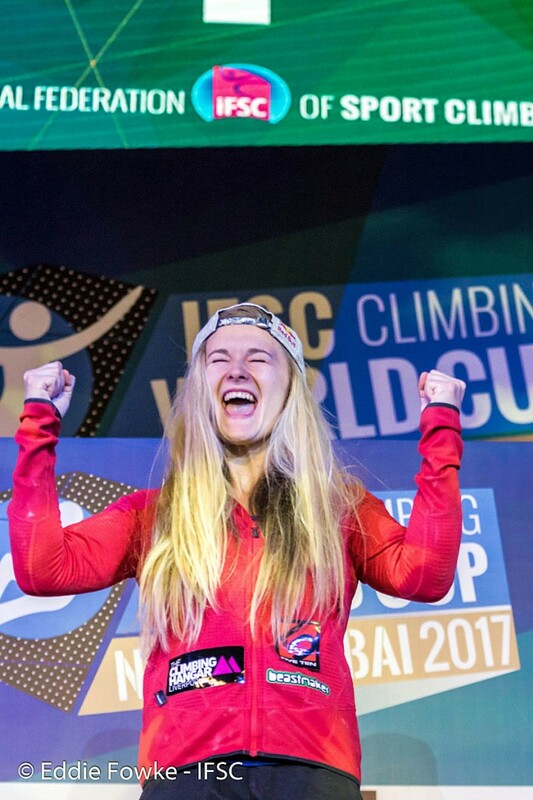 An IFSC spokesperson said the British climber defended her title with emphasis, leading the way after every round and securing the victory midway through semi-finals. “Medallists Coxsey, Akiyo Noguchi and Miho Nonaka, winner at Navi Mumbai last year, also distinguished themselves early on as the only athletes to top W1 [the first round in the women’s competition],” the spokesperson said. “On W2, the bonus hold after cumbersome movements between two body-size volumes eluded most of the competitors. Nonaka was first to latch the hold and keep it together to the top, followed by Coxsey who duly repeated the feat. “All three frontrunners and Petra Klingler topped a more static W3, leaving the final problem to decide the podium. “W4 required a complete set of strength and technique, with a multi-move swing following the bonus hold. All the finalists left everything on the mats, but in the end only one made it to the top. Coxsey’s Navi Mumbai victory follows her first-place performance in the previous round in Vail, Colorado. Korean climber Jongwon Chon won the men’s competition in Navi Mumbai, beating Japanese rival Rei Sugimoto. The final round of the bouldering world cup will take place in Munich in August. The discipline involves climbers tackling routes with technical ‘problems’ without the aid of ropes and is one of the sport-climbing events that will be staged in the 2020 Tokyo Olympic Games.